Located 400 metres from Pompidou Centre, Sweet Inn Apartments - Rue Pierre Lescot offers accommodation in the 1st arrondissement of Paris. The apartment is 1.1 km from Louvre Museum. Free Wi-Fi is featured throughout the property. Private Apartment - Tuileries - Louvre offers accommodation in Paris, a 4-minute walk from Tuileries Garden. 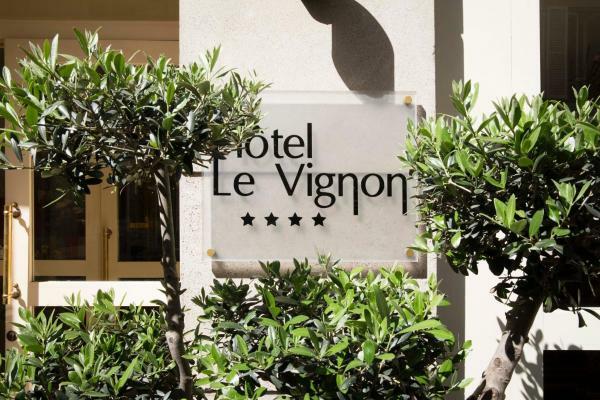 It is situated a 7-minute walk from Louvre Museum and provides free Wi-Fi. Sebastopol Apartment is located in Paris, 300 metres from Pompidou Centre, 800 metres from Notre Dame Cathedral, and a 10-minute walk from Louvre Museum. Guests staying at this apartment have access to free Wi-Fi and a fully equipped kitchen. Featuring free Wi-Fi throughout the property, Jardin Saint Honoré Apartments is located in Paris, 400 metres from Louvre Museum. Pompidou Centre is 700 metres away. Located in Paris, 700 metres from Pompidou Centre, Sweet Inn -Etienne Marcel offers a living room with a flat-screen TV. Guests staying at this apartment have access to a fully equipped kitchen. Apartment Sweet Inn - Rue de l'Amiral de Coligny is a self-catering property set in Paris near Louvre Museum. 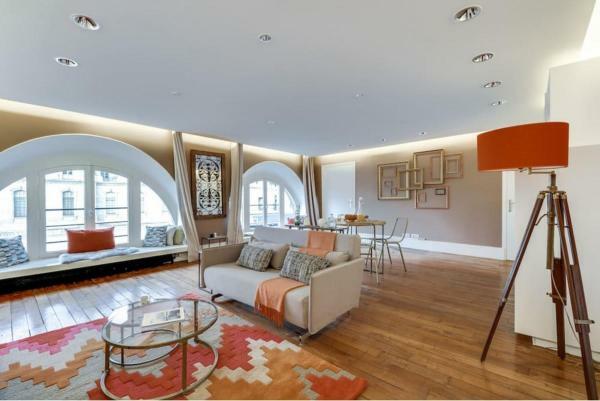 This property is 900 metres from Pompidou Centre. 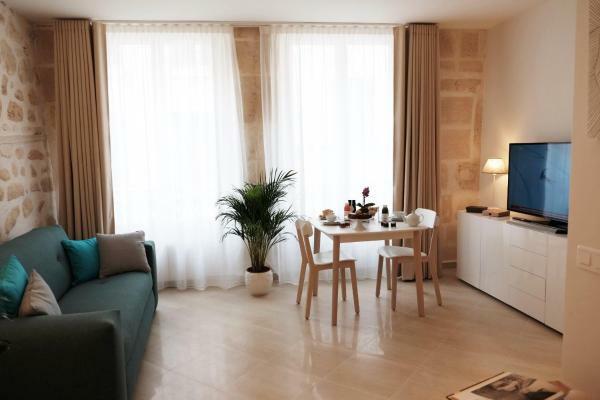 A short walking distance from the Louvre Museum, Appartement Petits Champs II offers apartment accommodation in Paris, 900 metres from Tuileries Garden. Free Wi-Fi is available throughout the property. Lovely Apartment for 4 Louvre Pyramides in Paris features accommodation with free Wi-Fi, a 4-minute walk from Tuileries Garden, a 7-minute walk from Louvre Museum and 700 metres from Orsay Museum. The property is 800 metres from Opéra Garnier. Set in Paris, this apartment is 700 metres from Louvre Museum. Apartment WS Montorgueil-Louvre features views of the city and is 700 metres from Pompidou Centre. Free Wi-Fi is provided throughout the property. 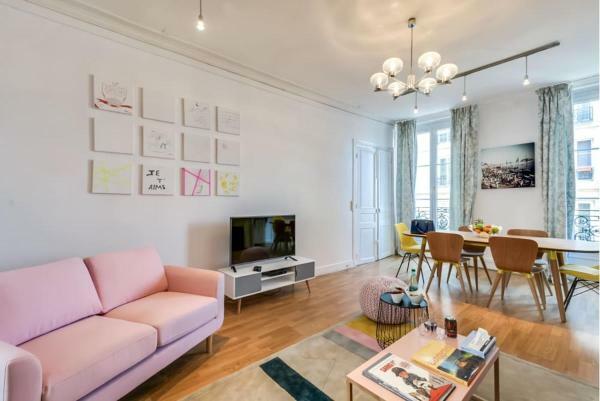 Located 600 metres from Pompidou Centre and a 10-minute walk from Louvre Museum, Paris Center - Lovely Apartment features accommodation situated in Paris. 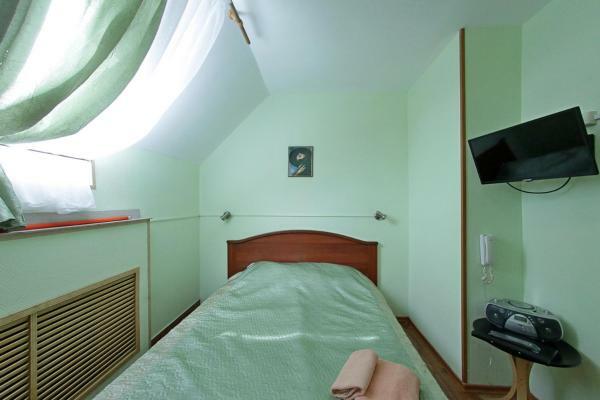 The property is 1.2 km from Notre Dame Cathedral and 1.3 km from Place de la République. Set in an elegant Hausmannian building located 450 metres from the Arc de Triomphe and the luxury boutiques on the Champs Elysées, Sofitel Paris Arc De Triomphe is a boutique hotel entirely designed by the Studio Putman. Set in the chic 8th district in central Paris, this 4-star hotel offers stylish guest rooms. It is located just 200 metres from the Madeleine Church. Each individually decorated room is equipped with satellite TV and free Wi-Fi access. Located just 200 metres from the Champs Elysées, this penthouse apartment features a terrace with outdoor furniture and city views. The Arc de Triomhpe is a 10-minute walk away. 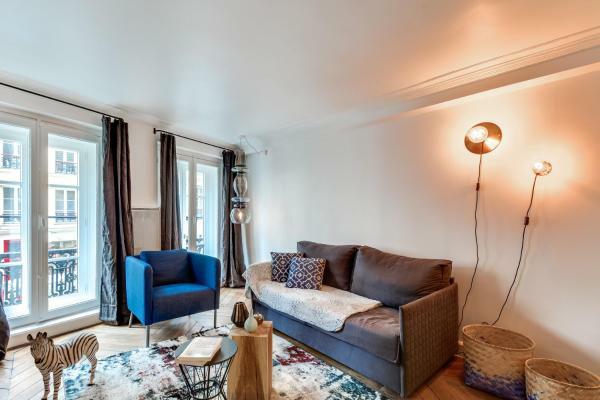 Sweet Inn Apartments - Rue Beaujon is a 2-bedroom apartment located in Paris, less than a 5-minute walk from the iconic Arc de Triomphe and the Champs Elysées’ shops. The elegantly-decorated apartment features high ceilings and crown moldings.